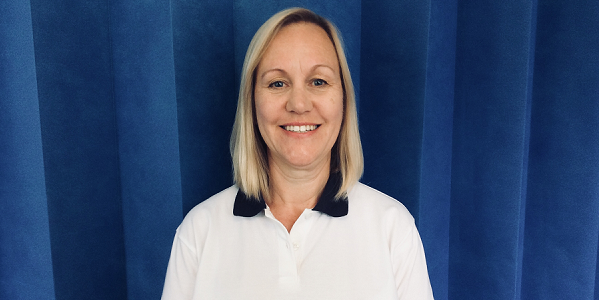 Clinical lead physiotherapist Lesley Hoare had a pleasant start to her summer as she learned that she had been awarded May’s Exceptional People Award. Having been a part of the Physical Disability Physiotherapy Service at Abingdon Community Hospital for nearly 20 years, Lesley Hoare is described by her colleagues as the heart and soul of the team. A clinical lead for the past eight years, Lesley is dedicated to her patients and her staff, and has earned their respect through her managerial style and her commitment to her work. She has also been instrumental in making changes that have improved patient experience, including the implementation of county-wide Parkinson’s exercise groups. Helen Knott and Jo Preston, who nominated Lesley for the award, said: “Lesley is a very approachable, dedicated physiotherapist and, as well as leading the PDPS team very effectively, continues to hold a full clinical caseload. Lesley will receive a certificate and our thanks for her valued service to the trust and its patients.